PROXIMITY DEVICE... The glove Leobardo Guardado holds in his hand can read the distance from the user to an object and it says the distance on a speaker. 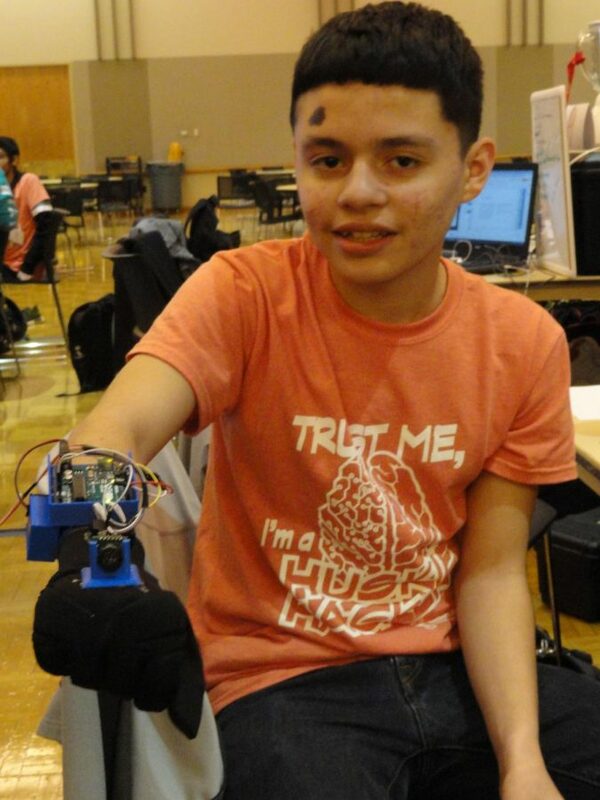 This device was created in the NIU husky competition. I admire these students for their ingenuity. Their knowledge enabled them to build amazing inventions. My personal favorite so far is the glove than reads the distance between the user and the object pointed. I can’t wait to see what they come up with next. I think engineers is awesome and best way to learn anything. Everyone in engineer tries their hardest to complete a new task and when it finish they have a good outcome but sometime bad. Engineer reminds me of someone who successful because you must work hard and me smart to do all that. The people in engineer work hard and plan everything one by one. Leading them to the competition and winning because of all their hard work.